I have been speaking lately about how with time and effort, our careers can evolve to reveal and fulfill our purpose in life. Janet D. Garraty, founder and CEO of Go Jane News, was In a recent audience of women gathered by the Chamber of Commerce of South Jersey. Her review of my talk touched me so much, I had to share. Hoping like Jane, you discover the God Box your Mom left you. Read Janet’s post HERE. This morning I walked over to St. Francis Xavier Church to the tiny room upstairs called “The Mary Chapel.” I wanted to attend morning Mass because today, May 29th is the 7th anniversary of my mother’s death. The Mary Chapel lives up to its name. As humble and warm, inviting and hopeful as she was. There are two stained glass windows, each capturing a moment of the Blessed Mother’s life, both donated long ago by the ‘Ladies Sodality.’ I love that. And the people who come each morning are a mix of what makes our neighborhood beautiful—diverse in age and background, unified in their shared need for peace, even as the growl of NYC construction and traffic pierce in the silence. Inside, we are one, each asking aloud for help—for someone sick, for homeless people, for lost souls. My request was one of thanksgiving for the gift of my Mary. The priest said that sometimes God speaks to us in subtle ways, little ways. My Mom’s handwritten notes, her helpful sayings, her soothing voice, her ready laughter—that’s what I hear in the subtle quiet of the chapel. And in my heart always. Mom once wrote to me, “You will always be in my God box.” You, too, Mare… you too. Do you ever feel that, just as you have accomplished something, people ask, “Now, what?” Happens to me all the time. “What’s your next book?” “Now what are you doing?” My first instinct is to want to fill in their blank with more goals. As I say in my one woman play, “pen, paper, check, check, check, that’s me!” And if I don’t have an ambitious answer, I feel that I am letting someone down. I do have some terrific plans in the works for the fall God Box tour. But sometimes, especially as this long-awaited summer finally arrives, it’s okay to be grateful for “now.” My friend, director and co-writer Martha Wollner always tells me to “pay yourself on the back.” Martha literally makes me stop and put my hand over my shoulder and give a good pat. I laugh but it’s true that too many of us don’t stop to acknowledge what’s good. Instead, we look in the mirror and wonder why we haven’t done more. It’s great to set high goals but it’s also important to take a breath. I am so proud that The God Box Project has raised more than $150,000 for cancer, hospice, women and family causes and education. We have helped thousands of people find peace and hope even in loss. And we have made so many new and wonderful friends along the way. Let’s celebrate the ‘now’ and let the ‘next’ come in good time. 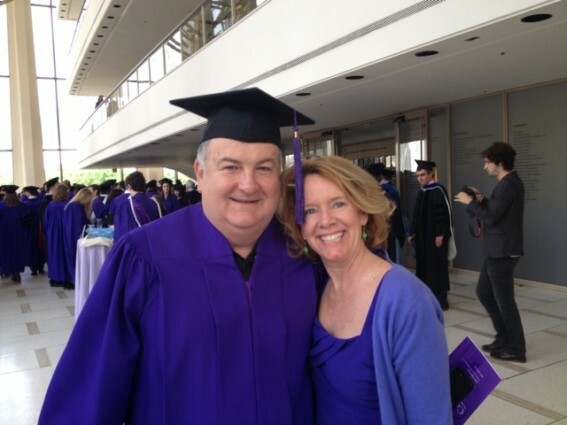 Today, the love of my life, Joe Quinlan receives his Masters degree in Irish and Irish American Studies from NYU. Joe likes to joke that he is the Bluto Blutarski of NYU…his Animal House laugh about his five years in school. But I feel serious today. Seriously proud. I have watched Joe as he researched and read, studied and wrote. Joe was a sponge for everything Irish. He loved the learning, the faculty, the sessions of music and poetry, politics and thought. Joe found his greatest joy in the stories behind the stories…the family of Eugene O’Neill, the untoldsecrets of the Draft Riots of the Civil War, the unsolved murder of police detective Jerry McCabe. There is always a backstory. After all, it’s Ireland. So many students hoot when they cross the stage…both victorious and relieved. 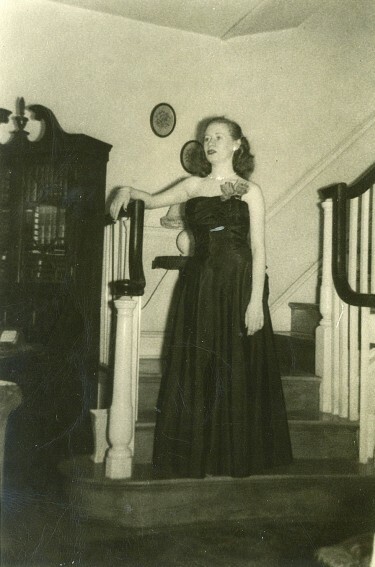 But I know that Joe will walk straight and tall, enjoying the journey that he is privileged to take, remembering that long, long ago, his great grandmother Cecilia Cox left a tiny stone farmhouse in Enniskillen, County Fermanagh in Ireland…simply a young woman daring to find new hope in America. Who could know that her grandson Tom Quinlan, Joe’s Dad, would someday hold a Masters degree and teach poetry, even still in his 67th year as a teacher? And who would know that Joe would inherit that love of Ireland, pursuing a career in journalism, always learning and now walking across this stage today? This connection of mother to son to son to son…lives on today. From a little farmhouse to the Lincoln Center stage. Here’s to Joseph Patrick Quinlan, son of Ireland, Class of ’13. I will hoot and holler with pride…to this Master of Life. Better late than never! NOW…. 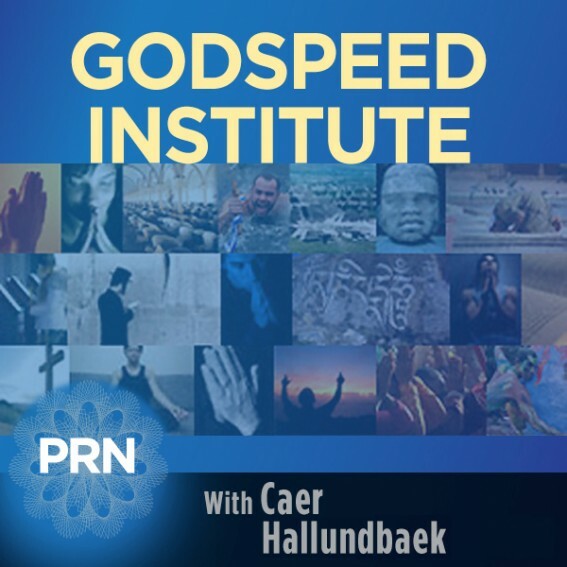 If you are thinking of your Mom today, whether she is with you or is in your heart, hope you enjoy this interview airing this afternoon on The Godspeed Institute for spiritual learning radio program on PRN-FM. Host Caer Hallundbaek was a terrific and insightful host! The show for St. Mary Medical Center’s Healing Ministries meant a lot to me because last Christmas, my mother-in-law Ginny Quinlan arrived in their emergency room in very bad shape. 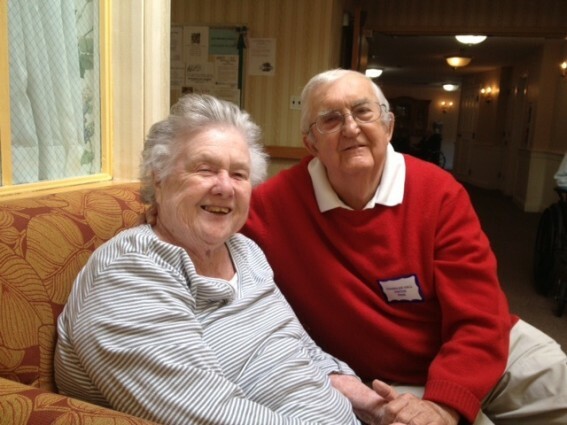 We thought we were going to lose her but once in the kind and expert hands of the team there, day by day, they found the source of her pain and here she is five months later holding hands with her husband of 63 years, Tom Quinlan. So, the thank you letter below from the leader of the event Heather Procaccino works both ways: St. Mary, I love you! I am still basking in the glow of the event. Everyone was so moved by your presentation and your story. The event helped us to raise several thousand dollars which will help our Holistic Center provide services to cancer and stroke patients who are in their final stages of life. I will reach out to Boni Riether with the good news. She is the manger of the center and I know she will be so appreciative of your generosity in time, talent, and financial support. All of which were above anything we could have expected. I am sure through your book and performance you touch so many people who see themselves and their mothers in your story. The universal message of love, loss, and grace is certainly conveyed every time you are on the stage. Thank you again for sharing all of this with us and supporting St. Mary Medical Center. You helped to bring a new group of people into our orbit who we now have the opportunity to continue a conversation with them about our hospital. I wish you all the best, and if there is anything I can do for you or your family, please Mary Lou just ask.